Just when you thought it couldn’t get any better. Introducing: GloFX Multi-Color Laser Gloves. We took all the best parts of our amazing Green Laser Gloves, and created a whole new beast. With 8 high-power Lasers, featuring Green, Red, and UV Purple, prepare to show the crowd a sight they’ve never seen. Each Laser is accompanied by an adjustable, removable kaleidoscope cap that you can use to bend the light into 100’s of individual points. If you want raw, powerful light, you can also remove the caps to create a single high-power beam. GloFX’s new Multi-Color Laser Gloves feature Green Lasers on the index and pinky fingers. The Ring and Middle Finger are adorned with beautiful UV Purple and Red lasers, allowing you to create a beautiful bouquet of laser light. All of this combined with the innovative new Blue-Purple Palm light creates a new dimension of color previously unseen in our Laser Gloves! 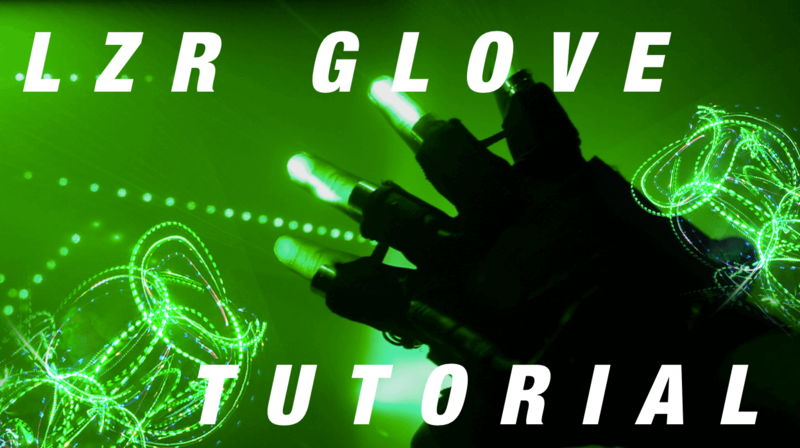 Charging your new GloFX Multicolor Laser Gloves is a breeze. Simply disconnect the battery connection, attach the DC power adapter and plug into any wall outlet. Each set includes two DC power adapters, so you can charge your gloves simultaneously. Note: To enhance battery life and prolong the lifetime of your laser diodes, we suggest using the lasers for 1-2 minutes at a time. A single battery charge will keep the LED palm illuminated for 6-10 hours, and Lasers from 1/2-1 hour.